Black Mirror, Netflix's technology-horror anthology, never fails to provide thought-provoking entertainment centered around emerging and futuristic technologies, and the third season's second episode, "Playtest," delves deep into the worlds of mixed, augmented, and virtual reality. While designed to leave you haunted by the end, offering a more "evil" narrative than we'll likely see in our actual future, the episode explores possibilities that aren't as far off as one might think. Spoiler note: This post does not contain any significant plot spoilers about the episode, but does discuss the overall plot and relevant existing technology. If you want a spoiler-free experience, watch "Playtest" first and then come back and read this post. We won't spoil anything major, though, so read on if you don't mind a little context in advance. The experience involves a small medical procedure best described as the partial injection of a spherical node (called the mushroom) into the spine. It serves as a mind-machine interface (MMI) and uses a chair and clip-on band to download experiences for the user. The brain takes a number of shortcuts that technology can exploit, making it relatively simple to feel present in a digital environment despite any awareness that it's a lie. Once the game is loaded, Cooper uses what looks like a visor-less retinal projection, similar to what Magic Leap's mysterious head-mounted display (HMD) is suspected to produce. In the episode, the holographic illusion quickly becomes more real than intended and Cooper must try to interpret his true reality from the false one generated by the implant in the back of his neck. Because it uses his mind and memories, no one knows exactly what he'll see—not even the implants' creators. Throughout the episode he must confront his fears, from grade school bullies to his father's morbid condition, but glitches in the program pose a greater question about what reality actually is. Virtual, augmented, and mixed reality share a common goal: presence. That term exists almost solely to describe the holy grail of immersion in any reality. Our physical reality is fully immersive because most of us believe we exist in it, and we don't question our existence too thoroughly. Digital realities are less so, because we know they aren't real. The more they can fool us, like with the multi-sensory experiences created by THE VOID, the more you'll feel a sense of presence. How do we know that we are not in The Matrix? How do we know what reality is? One of the things that I love about the brain is just how much trickery goes on…what the brain decides to serve up as reality we just eat up because there is no other reality for us. It is giving us all this information and there are interpretive systems that exist and they all come together—we have identity, we have presence, and we have extension into the world…those are three really powerful concepts. Basically, our brain accepts the reality presented to us. If we grew up in an Oculus Rift and never took it off, we'd have a very different understanding of the world, our shared realities, and consciousness in general. Black Mirror doesn't settle for low-resolution VR headsets, however, and takes the tech much further into the realm of reality augmentation. The proposed gadget in "Playtest" is an implant that burrows under the skin to connect directly with the brain and create stimuli across the full range of human sensation. While that may sound like a far-off future, it's actually not. We've already figured out how to, essentially, understand a person's thoughts through patterns in their eye movements. That's old news, and what's happened since is far more impressive—something we'll get into shortly. "Playtest" depicts no actual visual projections—just the illusions of them as they stream from Cooper's mind. Saito Gamu put safeguards in place by making false objects appear like projections, but that only helps if the technology actually works as designed. In the alpha testing phase—especially when depicted in entertainment—bugs and glitches are inevitable, leaving plenty of room for a significant case of reality distortion. As augmented reality tech evolves, we're bound to experience a little of this ourselves. In fact, we've already seen several platforms aiming to provide incredibly immersive experiences that one day could find us lost in a false reality. As previously mentioned, THE VOID offers a compelling example as their mixed virtual reality experiences—which they've termed "hyper reality"—targets four of the five senses. Most available headsets handle sight and sound fairly well, but THE VOID integrates every sense but taste. You can touch virtual objects and feel them if they touch you. I felt a ghost fly through my body when I demoed their Ghostbusters experience, and while I knew it was fake, it was awfully convincing for such an early effort. At the end, I was treated to the smell of roasting marshmallows and I doubt I could tell you the difference between their created scent and the real thing. But THE VOID uses a lot of traditional methods to fool the senses. They created a very specific scent to emit that fakes a roasted marshmallow, but that's all that scent can do. While far creepier and more invasive than the average person might want, Adrian Cheok is working on augmenting the other senses solely through technology. At Singapore's Mixed Reality Lab, Cheok created a series of unusual apparatuses that stimulate your palatine bone to make you think you're tasting and smelling something you're not. While this technology doesn't have the elegance of a single, spherical node—like the one depicted in "Playtest"—it provides the same results for those two, specific senses. Basically, Cheok has created a rudimentary but functional technology that's capable of augmenting 40% of the sensory targets in Saito Gaimu's fictional hardware. Neither THE VOID nor Cheok have created anything that could rival the platform depicted in "Playtest," but we've solved pieces of this puzzle already and will augment our consciousness through MMIs in the foreseeable future. Technologies being used to reverse paralysis and psychological treatments using (currently) illegal drugs will pave the way. First, let's take a look at how virtual reality can already reprogram brain function. We already know VR has proven—through a small, but nevertheless significant, study—to provide relief from pain and anxiety at a level comparable to narcotic pharmaceutical drugs, but it also has (as you can see in the video below) helped paraplegics walk again. 50% of these patients were upgraded to an incomplete paraplegia classification. Neurological recovery was paralleled by the reemergence of lower limb motor imagery at cortical level. We hypothesize that this unprecedented neurological recovery results from both cortical and spinal cord plasticity triggered by long-term BMI usage. Researchers at McGill University implanted thoughts in people's minds—or, at least, made the people believe that they did. You can almost hear the surprise in their conclusion, as if the study yielded far better results than they anticipated. And surprise is very relevant, because I think it's safe to assume that most of us didn't expect we'd see machines overriding brain function in our lifetimes. At least, not with something less invasive than the future technology depicted in "Playtest." The 21st century brought us so far forward in technological advancements that we're still learning how to adapt to regular smartphone usage as companies continue to create far more impressive technologies (like the HoloLens, and everything else we've discussed so far). It only gets better—or scarier, if you're terrified of a "Playtest" future. Researchers in California used an electroencephalogram (EEG) machine to control brain function and allow a paralyzed man to walk four meters. Although not as groundbreaking, the same technology has been used for brain-to-brain communication over the internet as well. While these two instances only point to big first steps in a longer process, we've already figured out how to control the brain with EEG machines in some small but significant ways. Now, we just need to understand what action creates specific results—and that's where we turn to illegal, mind-altering drugs like LSD. Many see LSD and other psychoactive substances as a major problem in society. Researchers and scientists, like the ones in the Multidisciplinary Association for Psychedelic Substances (MAPS), see them as vital research material. Both sides have a point, but several organizations like MAPS have made significant progress in understanding the human brain by studying MDMA, marijuana, LSD, and more. 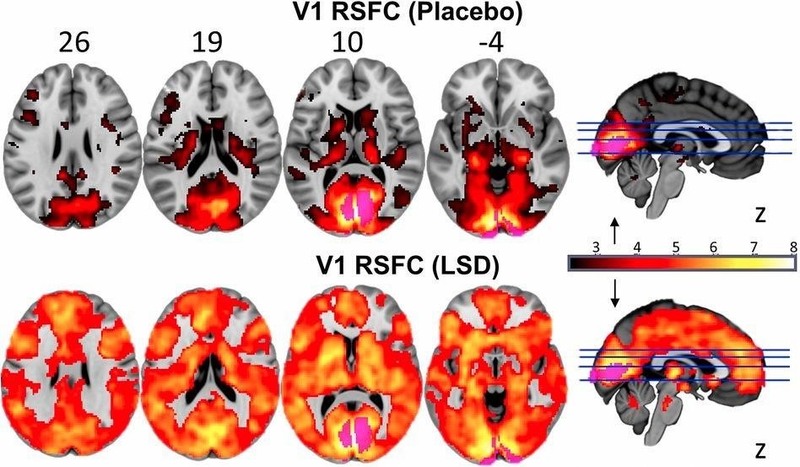 And in the case of LSD, thanks to wonderful fMRI technology, we're finally able to see what happens to our minds under the psychoactive effects of this strange medicine. Watching brain activity, however specific, doesn't magically give us a path to recreate that activity through technology. Just because we know what LSD looks like in the brain doesn't mean we can fabricate its effects with a machine. That said, it's still the first step in the process and we've taken it. We've taken others, too. 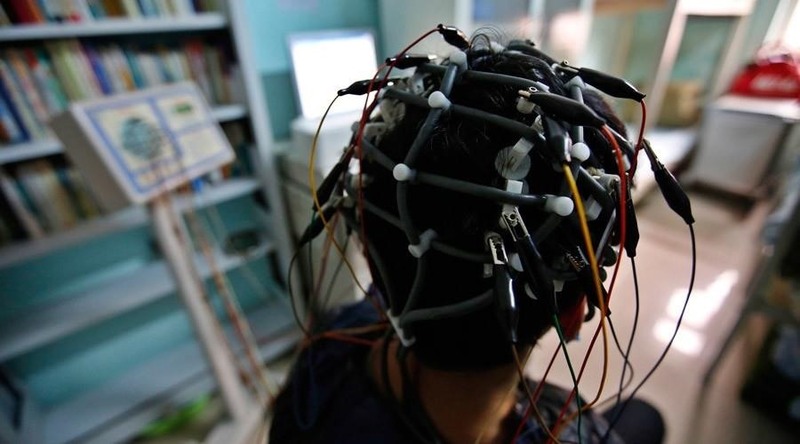 Like an fMRI machine, an EEG machine was designed to record brain function—not alter it. Nevertheless, we're finding that these machines can do both, as evidenced by the aforementioned research studies with paraplegics and EEGs. The same is true with fMRI. Because it results in a detailed look at brain activity, University of Pennsylvania researcher Anna Rose Childress devised a technique to control a computer's cursor through brain activity—and the process requires virtually no training. While that's exciting, we're not into Black Mirror territory until someone implants a machine-derived thought in someone's brain. Well, that sort of happened already. Through a confluence of stage magic, mentalism, and fMRI technology, researchers at McGill University implanted thoughts in people's minds—or, at least, made the people believe that they did. Like everything else, this is just an advancement in one area, but everything pushes us closer to the ability to hack human consciousness like we see in "Playtest." With everything we've discussed, major advancements in artificial intelligence, and the ability to alter our DNA, we have found the threads to unravel the world as we know it. We have the tools, but we need to learn how to use them right and understand them better before the events depicted in "Playtest" could technically happen. Despite all of this amazing technology, none of it actually adds up to anything quite like Saito Gamu's injected spherical node that provides a replacement consciousness for Cooper in "Playtest." Everything we've discussed here only offers vital information on the path to creating the first version of that type of technology. We have the tools to solve the problem, but we haven't solved it yet. Perhaps augmenting consciousness, with complete accuracy, can happen as easily as downloading an app on a smartphone, but we don't understand how the brain works well enough to get there. The exciting, and potentially frightening, reality is that we will. "Playtest" doesn't depict the most uplifting version of how a fully immersive machine-guided experience could work, but it does demonstrate where we're headed technically. Understanding the brain on this level means understanding human consciousness more deeply than ever before. Whether or not this technology can have a safe place in gaming is a question to be answered farther off in the future, but Black Mirror posits that such a step is going too far—and it's certainly not alone in imagining these kinds of issues. But as we've discussed, gaming isn't where this technology will be applied first. It's already achieved a strong place in the medical industry and, for now, that's where it belongs. While "Playtest" serves as great entertainment and a fun thought experiment as we look into the possibilities of our future, mind-altering technology, full reality augmentation isn't the sort of thing we'll likely see in gaming for quite some time—if ever. But we aren't far off from solving the necessary problems to get there with existing technology. In a wonderful way, our true, conscious reality offers far more cause for optimism than Black Mirror—just, perhaps, with a little less fun.